Kinfolk is a social enterprise café and caterer which exists to create more inclusive communities and relieve social isolation. It runs with the labour and love of a large talented and energetic volunteer workforce who compliment our core staff. We provide a personalised volunteer experience and we redistribute our profits to our two partner charities – this year we are supporting the ASRC and Cathy Freeman Foundation. 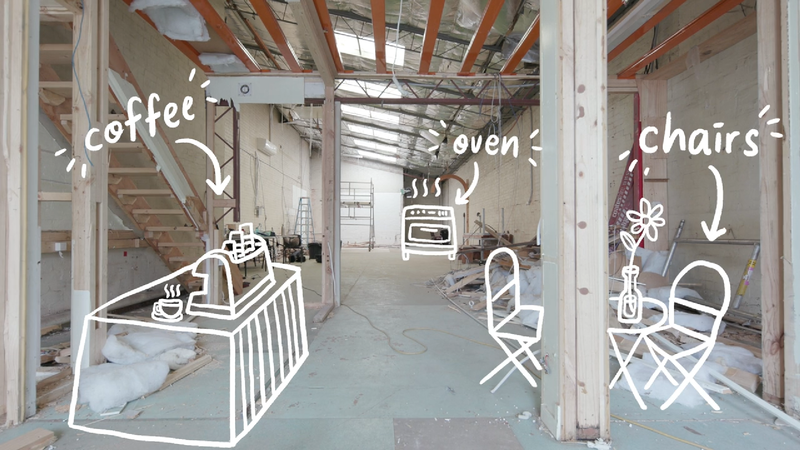 When Kinfolk began trading 8 years ago, it was thanks to generous contributions of time, energy & funding from a broad community numbering in the hundreds who were inspired by this early vision of a social enterprise cafe. It soon became a favourite for the CBD crowds & defied industry trends to quickly become a self-sufficient café. Along the way, an incredible community of people developed with shared values of inclusion. Now, our greatest impact can be seen in the personal achievements made possible through our volunteer training program. Kinfolk has witnessed many individual successes with more than 700 volunteers who have donated over 50,000 hours since Kinfolk opened its doors. Now, we have so many people on the waiting list that we often can't accept people into the program for months at a time. For people with time-critical issues, this can simply be too long to wait. This is your opportunity to be a part of a new chapter in the story of Kinfolk. We are calling on the community to come together to create something special. WELCOME TO THE FAMILY, SIBLING! 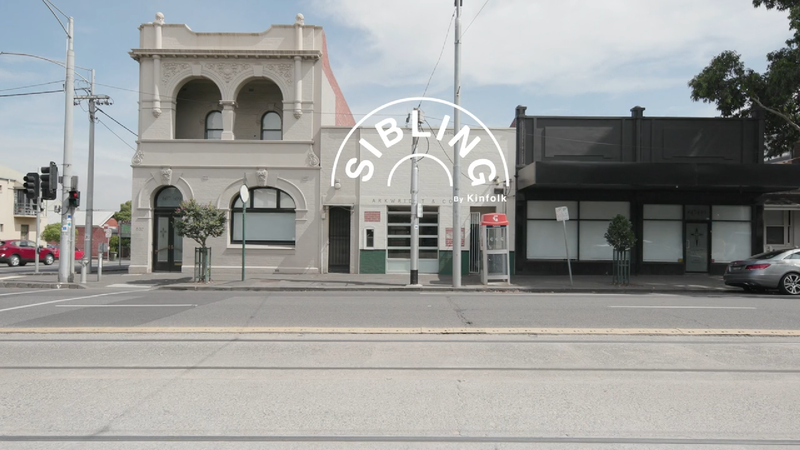 Sibling will open in Carlton North and allow us to double the size of our volunteer program over the next two years. This means our weekly active volunteers will grow from 60 to 120! It will provide support and guidance, a sense of community, a space for creativity, accredited training and more donations to our partner charities. We are also proud to announce our partnership with Fitzroy Learning Network which will enable us to provide certified training in hospitality. Kinfolk Enterprise is a DGR registered charity with the ACNC so all outright pledges and cash donations will receive a 100% tax deductible receipt. We have so many people on the waiting list that we often can't accept people into the program for months at a time. SIBLING will allow us to welcome an additional 60 volunteers to the program each week within two years. “Unfortunately at Kinfolk we have a bit of a wait list for our volunteers. We have so many people who want to get involved that it’s usually about 2 – 3 months until we can get them to an induction. When people need immediate help, it’s really hard to make them wait those few months and it really breaks my heart that I can’t just tell everyone to come in the next day and get them started.” – Katie Huk, Volunteer Manager. Since the start of the year, we have helped over 74% of volunteers who were looking for work find paid employment. 35 People seeking employment (26 were successful during the first 6 months of the 2018 financial year). People aged 14 to 56. The Sisters of Mercy have generously offered to provide the majority of the renovation and reduced rental for the first 4 years. 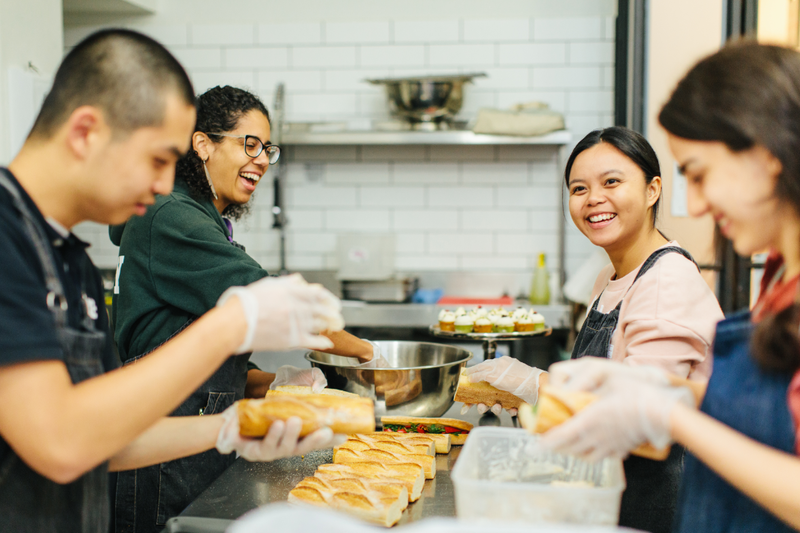 Thanks to a partnership with Fitzroy Learning Network (a Registered Training Organisation), Sibling and Kinfolk will offer accredited hospitality training to volunteers. This will further help in developing a positive pathway towards employment or their future goals. Small Batch has also put forth a swanky coffee machine & grinders and has also pledged training & support that will enable our volunteers to learn from the best in the biz on the best equipment. 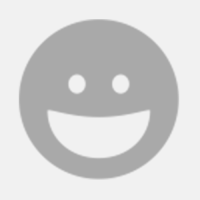 📣 HOW CAN YOU HELP? It is often the small things that can make a big difference to our volunteers – a hot coffee, a warm embrace, some advice, a new challenge or an invitation. Small things are also what will help us achieve the goal of this crowdfunding campaign. Look to the right to choose one of our great rewards. Facebook, Instagram, Twitter - wherever you lurk online. #3 Host your own fundraising event... that could be fun! Get in touch ([email protected]) to ask how your fundraising event can contribute to this campaign. It could be a pot luck dinner, auction, movie night, karaoke or talent show. Whatever gets your people together for a good cause. As we learned from Kinfolk, it takes a community to make something as special as this happen – we hope you’ll be a part of it! Check out our new home - you can help us transform this construction site into a place to create more inclusive communities and relieve social isolation. Our stretch goal will facilitate training for our incoming new staff at Sibling, empowering them to work with a diversity of individuals & to create positive, personalized experiences for their volunteer community. This additional $20,000 will also help to coordinate our first 12 training sessions led by industry professionals for Sibling & Kinfolk volunteers. With the stretch goal achieved we will be able to commence an exciting curriculum of specialist training for our volunteers from the very first day that we open. Coffee for 2 at Sibling and a very special thank you from our volunteers. 250g bag of Small Batch coffee (ground to your specifications if required) for you to take home and taste Sibling coffee in the comfort of your own kitchen and a very special thank you from our volunteers. This reward entitles you to entry to our very own comedy roast on the 5th of October, brought to you by Kinfolk’s comedians & chefs. A sucker for the literal, we’ll be serving a roast (veg & vegan menu available). This ticket not only entitles you to a seat at the dinner table & a night of roasting comedy, but two free drinks at the kinfolk bar. Brought to you by Red Roaster, it'll be a plucking good show. Express your thanks by buying lunch for a volunteer after their shift for a whoie month. Learn to compost in a community garden fueled by Kinfolk's coffee! Reground recycles coffee in local gardens and you have the opportunity to learn from an experienced composter and gardener. Leave rich with practical knowledge on how you can turn your scraps into gold for the soil, an in-depth guide to compost at home, as well as a closer connection to local community. Kitchen scraps are a resource! Class held on Sat 27 Oct 2018. Our volunteer potluck parties are infamous for karaoke hijinks and round-the-world culinary degustations. This is a backstage pass into the privileged world of a Volunteer Potluck. Dinner & drinks included. Pre-purchase a delish Sibling meal to enjoy with a friend. Includes a meal and beverages for each person. Live interstate or think you might find it hard to visit Sibling in the flesh? You can always be super altruistic and donate this to a Sibling volunteer to enjoy with a friend. The treatment will take place at Fitzroy Shiatsu at a date negotiated with me/Joshua. The treatment will involve a 1hr session which will include a combination of Shiatsu therapy, cupping, moxa and Japanese needling. Expect deep relaxation, sense of calm and wellbeing. Features Citizen Cacao truffles, Mt zero mixed Australian olives, dukkah & oil, a whopping 1 kg of vegan chai by the masters at Prana, Mork's native cacao blend w pepper berry & lemon myrtle, 250 grams of Small Batch beans, organic Arti Hart apron & a handmade reusable Clay Cup. Rockstars don't pay for drinks & nor should you. This reward entitles you to one month's unlimited coffee or hot bevvies at both Kinfolk & Sibling, starting date determined by you. No more queuing & fumbling with change or stabbing your pay pass at an unresponsive eftpos terminal - you're a rockstar now & your coffee is free. 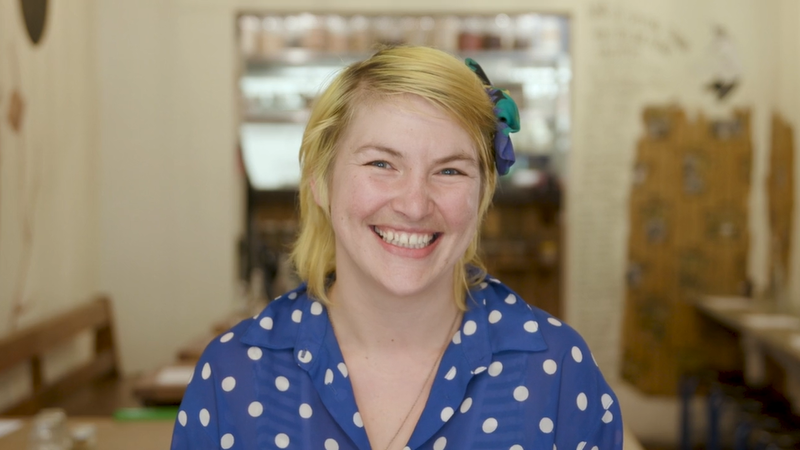 Georgina Proud will also be crafting your very own handmade ceramic reusable cup so you're good to go. Sit down with five friends or family members for brunch at Sibling to share quality time & delicious locally sourced food. Choose your favorite dishes from our new menu with cold-pressed juices & coffee by Small Batch. 4 x 1 hour massages with Marion. Channeling over 30 years of experience into your 1hr massage, her modalities are Deep Tissue Intuitive Massage and Theta Healing Indian Head Massage. Hosted at Dynamic Body Therapy Studio in block arcade Melbourne CBD - RRP $90.00 per hour. The cup that keeps on giving. This handmade & limited edition ceramic cup crafted by Melbourne's Georgina Proud not only reduces the number of cups in landfill but it entitles you to three months of free coffee at EITHER of our venues! Experience Sibling after dark for a 2 hour wine journey for 6-8 of your friends covering some of Victoria's best regions and producers, with cheese and charcuterie by Sibling. This session will be hosted by Beth Bicknell from Vinomofo and Jodie Estens from fine wine wholesaler Bibendum Wine Co.
A nourishing journey into Ayurveda for body, mind & soul. In this lunch for 8 people, you discuss Ayurvedic principles and find self-empowerment through practical health education. You will enjoy an Ayurvedic meal with Gita Kavar, holistic health practitioner & educator (Ayurveda) and Kanchana Rao, yoga teacher. Be the first to have an event in our Sibling space. Sibling has been custom designed to host events in the evenings. Be one of the first to enjoy this architecturally designed space for your own special occasion. Cocktail events up to 100, private dinners up to 60. This voucher can be used towards your booking. Learn about sustainable food while enjoying a delicious 4-course dinner + matched wines in the comfort of your own home for up to 8 people—cooked by Social Food Project's founder and chef Ben McMenamin. Kinfolk legends Geetha and Anand Raju bring their homestyle cooking to your place. Bring together up to 12 family and friends for a sharing feast that only the Rajus could cook up. You’ll be treated to a three course menu of their specialty dishes – vegan and vegetarian options welcomed! Kinfolk's Head Chef, Hiro Okada (previously Vue de Monde, Silo) takes you on a journey to discover the variety and history of Miso. For up to 12 people, learn while enjoying a dinner and drinks at the brand new Sibling location after dark. Grab up to 11 friends and join Georgie Castle from Citizen Cacao on a chocolate-covered journey. You will dive deep into the history of Cacao, traveling around the world tasting varieties and from multiple cacao growing regions, before winding your way back to present day tips and tricks to make Melbourne’s finest chocolate at home. Everyone will design and create custom truffles to take home on the night. Specialising in Raw and Vegan Treats - Citizen has been a longtime favourite supplier at Kinfolk and we can’t wait to have them with us at Sibling. Save big with an extra special catering package for your next event! We will give you $1,800 value towards any of our catering and beverage menus. Feel free to email [email protected] if you're curious how to use this reward as credit for your next event's catering. Join the master distillers from Four Pillars gin and Kinfolks Chefs Rach and Wheat for a once off tasting extravaganza. You and 9 of your favourite people will be treated to samples of the Four Pillars Gin range paired with Canapes made using local and sustainable ingredients suited to the differing botanicals of each Gin! Be one of the first to try out Sibling’s brand new bar! 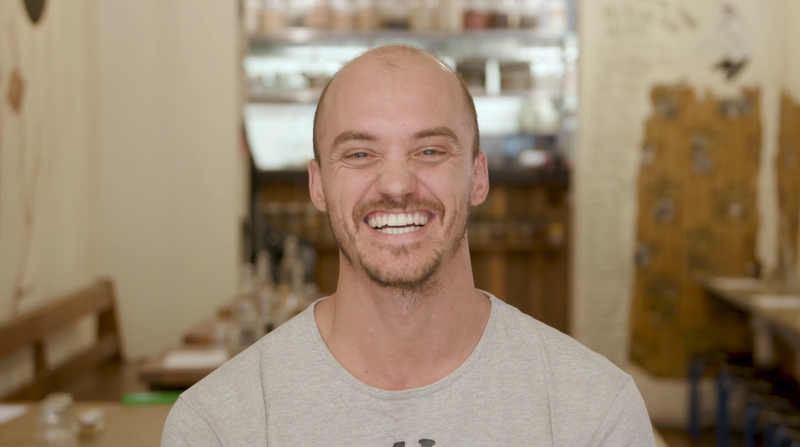 Our bartender Huk will be on hand to give you a rundown on how to prepare your favourite Gin cocktails and even come up with your own signature drink! Kinfolk co-founder and CEO, Jarrod Briffa, will provide a half hour talk on social enterprise, community building and Kinfolk's journey to creating lasting impact. Your guests will also enjoy $1000 of Kinfolk catering. Feeling generous? Like seeing your name on plaques? 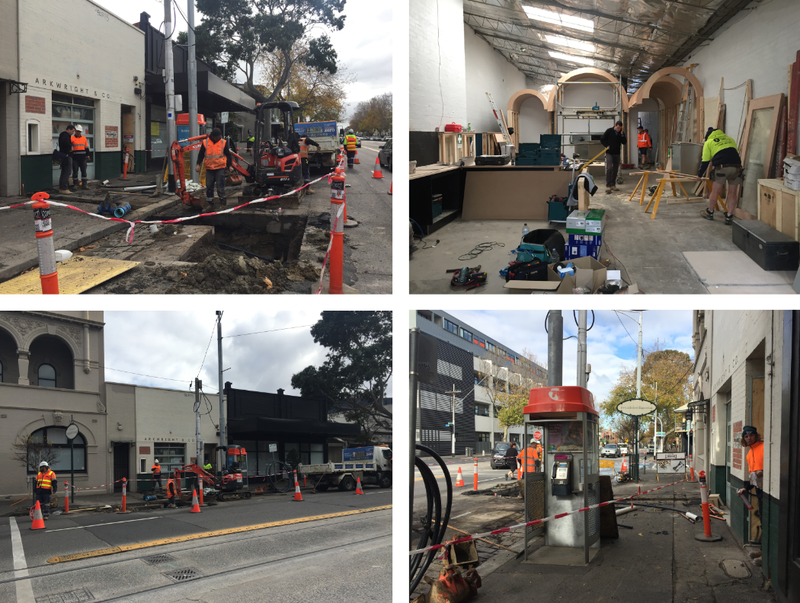 We'll immortalize you at our new cafe in Carlton North.